There’s no denying how handy a caravan motor mover is to get your tourer into the tightest of spaces. It was, therefore, no surprise that our Powrtouch Auto mover giveaway was hugely popular with our readers. 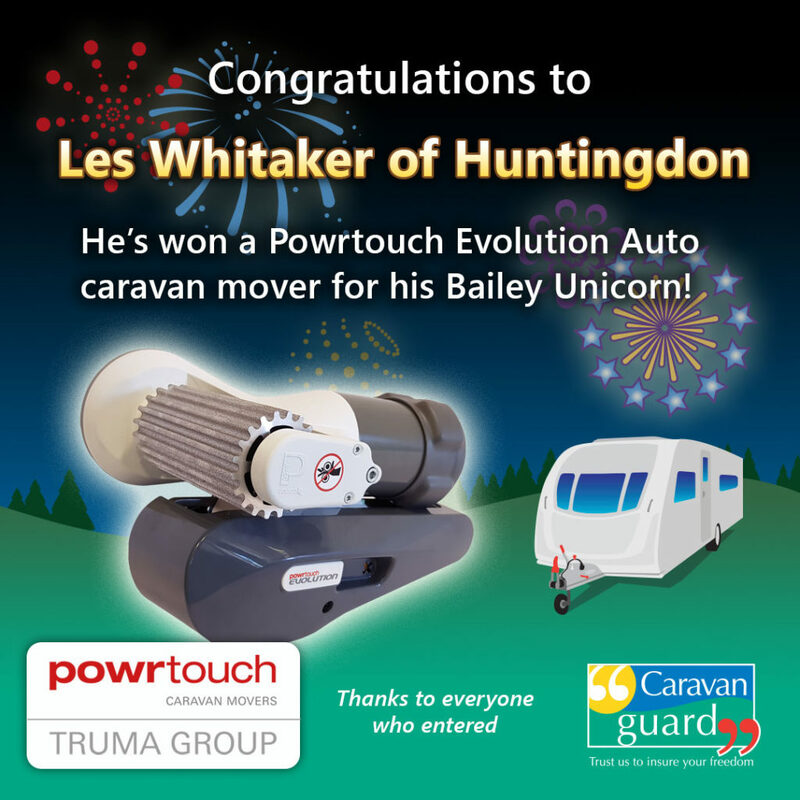 With more than 1,500 entries, huge congratulations go to Les Whitaker, of Huntingdon, for winning this fantastic prize for his Bailey Unicorn Valencia caravan. He said it was a “wonderful surprise”. Thanks to everyone who entered and don’t forget to check out our recent gear guide on caravan motor movers if you’re wanting to make manoeuvering your tourer that little bit easier! For more information about Powrtouch caravan movers visit their website. And see our competitions page for our latest giveaway.